A squeeze of fresh lemon or lime juice can enliven almost any dish, but these squirts of citrus have a way of making their way onto tables and into eyes. Luckily, Alton Brown has a clever trick for getting the juice exactly where you want it; you just need a piece of plastic wrap. The above video demonstrates the elegantly simple technique, but it really couldn't be easier. 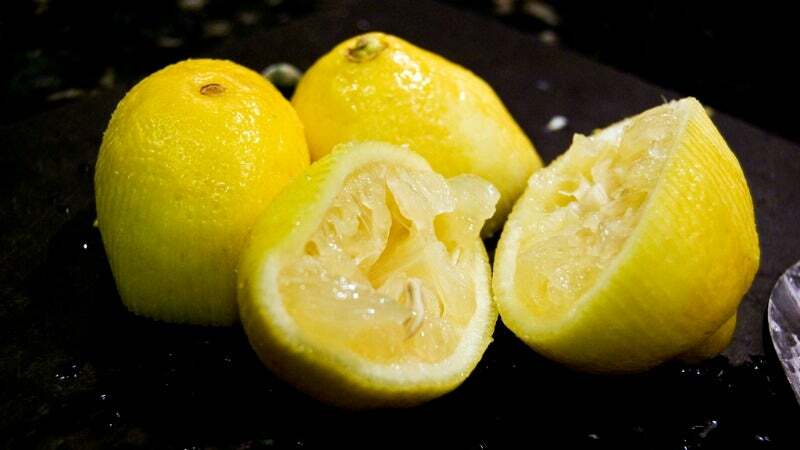 Just cover a citrus half in cling wrap, make a slit on the edge, squeeze out whatever you need and — unless you squeeze your lemon or lime dry — pop the whole thing back in the fridge until you need a little more juice.